Passware pioneers in acquiring iCloud data via live memory analysis. 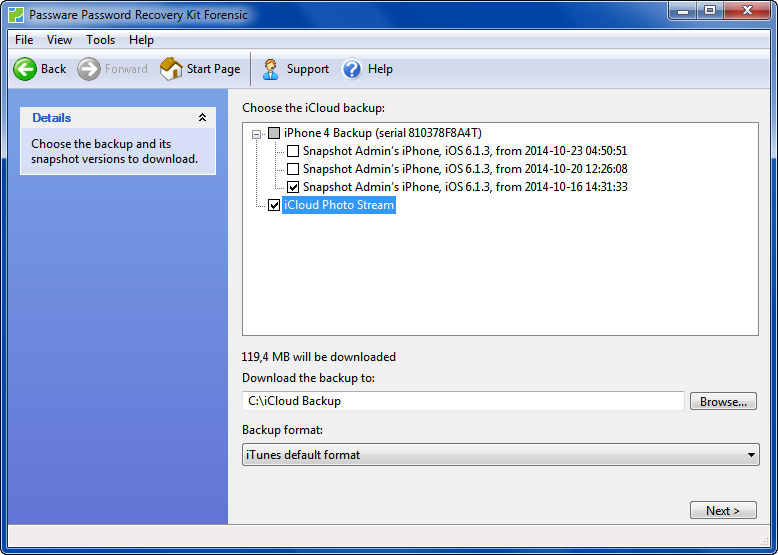 It extracts an Apple authentication token from a computer's memory image or a hibernation file, allowing further downloading of photos and videos from iCloud. It makes both Photo Stream and Shared Stream accessible without Apple ID authentication. NOTE: This feature is available in Passware Kit Forensic only. 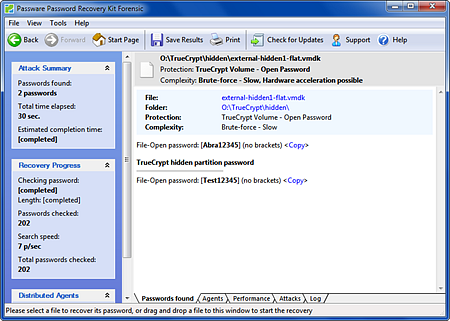 Passware Kit now recovers passwords for hidden TrueCrypt partitions and operating systems in addition to outer partitions. The password recovery process is accelerated with NVIDIA and AMD GPU cards as well as distributed computing. NOTE: This feature is available in the Passware Kit Enterprise and Forensic editions only. 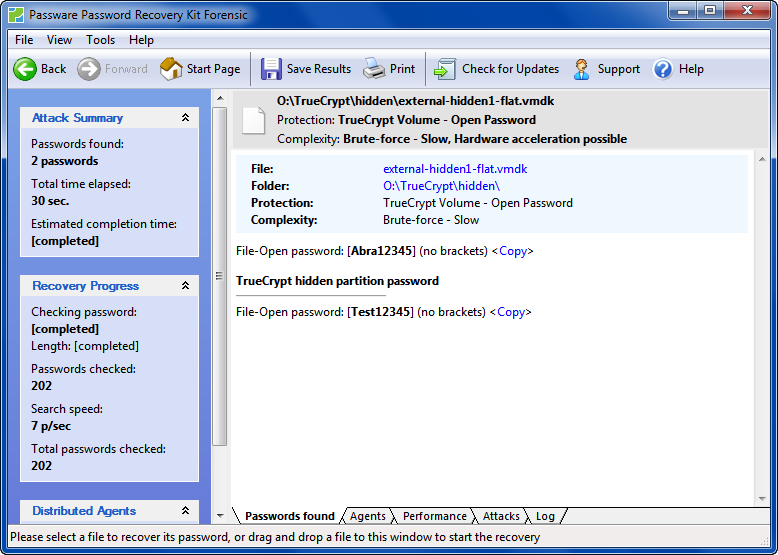 TrueCrypt versions 5.0 and later (6.0 and later for hidden partitions) are supported. Passware Subscription customers can now enjoy automatic software updates. Whenever a new version of Passware Kit is available, the software will display a list of the improvements or bug fixes, prompting a user for an update. The new version of the software is downloaded and installed automatically. This option can be enabled and disabled in the program settings. Passware Kit now recovers passwords 6 times faster with its distributed Agent for Linux. The performance has been improved for most types of files that require brute-force password recovery. Learn more on distributed password recovery. 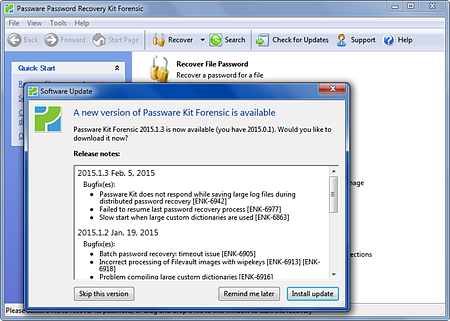 NOTE: Distributed password recovery is supported in the Passware Kit Enterprise and Forensic editions only. Passware Kit Agents for both Windows and Linux are available for free download. Passware updates its FileVault 2 decryption module to support the latest version of Mac OS X - Yosemite. FileVault 2 disk images can be decrypted via live memory analysis or a regular brute-force password recovery. 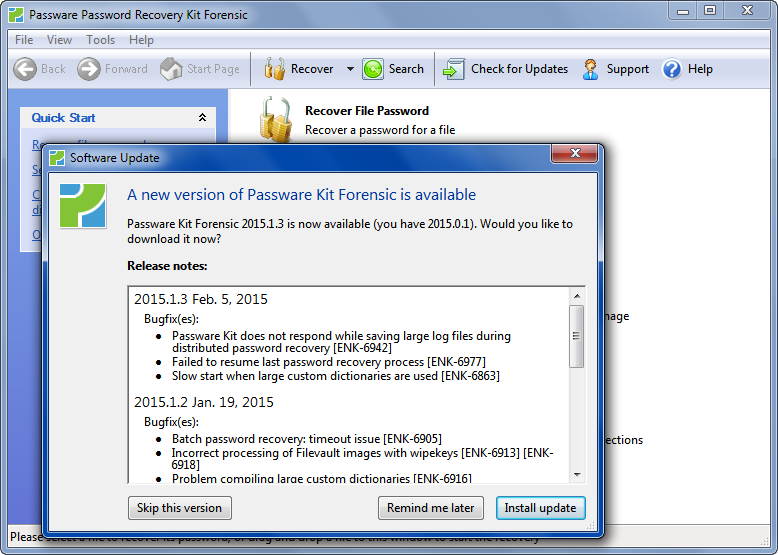 Passware Kit recovers passwords for KeePass databases: both KDB and KDBX files. 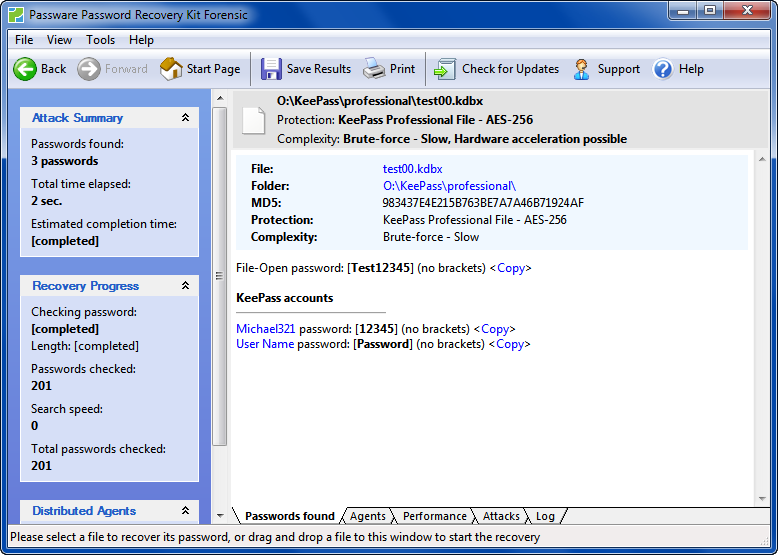 The new version now extracts user logins and passwords from the decrypted KeePass databases. NOTE: This feature is available starting from the Passware Kit Professional edition. 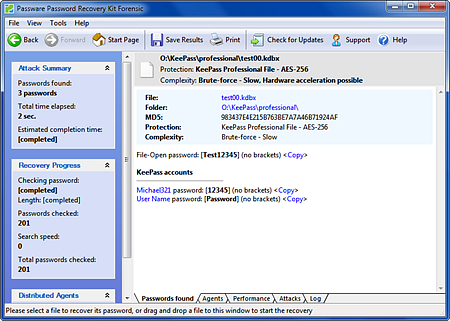 Passware Kit now exports detailed reports on the passwords recovered to CSV format for further analysis by computer forensics. Passware is a continuous sponsor of the CEIC, the biggest digital-investigations conference of its kind, hosted by Guidance Software, May 18-21, Las Vegas, NV. Attend Passware's lab "Efficient Decryption" on May 20th and learn how to approach decryption efficiently, from web artifacts and documents, to mobile devices and Full Disk Encryption. Save $100 on CEIC registration with Passware code: P4ssw4r15.